When was the last time you looked at ArcGIS to help you with field data collection? If it’s been a few years, you are in for a surprise. So much has changed. 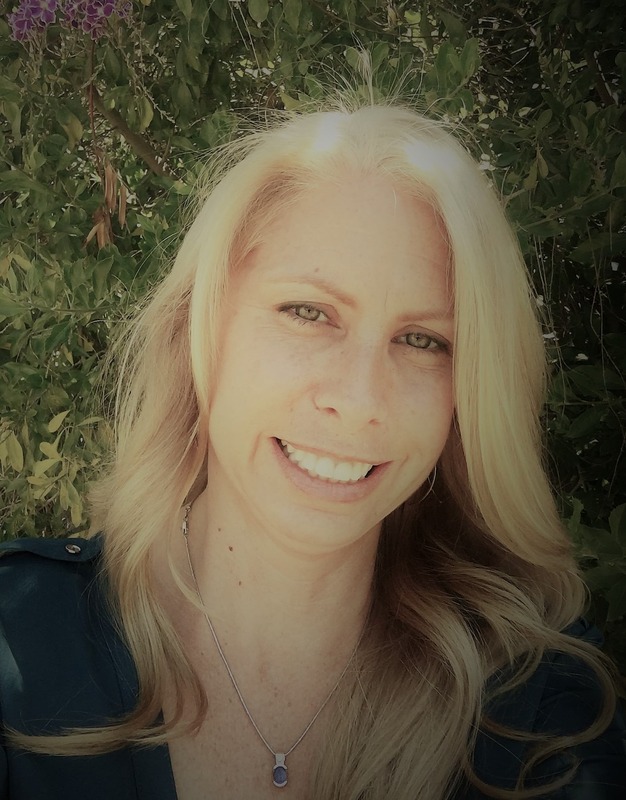 In my last blog post, “Working Smarter: How Digital Systems Are Transforming Work at Rural Utilities,” I shared several customer stories that highlighted the benefits of moving to a digital system: improved efficiency, increased data accuracy, and cost cutting. Allows field crews to easily locate assets. Provides field crews with quick access to system information, reducing the need to return to the office for additional data. Enables field data collection, eliminating the need to manually enter data from paper forms. Look at the diagram below. I think this is a great reference. 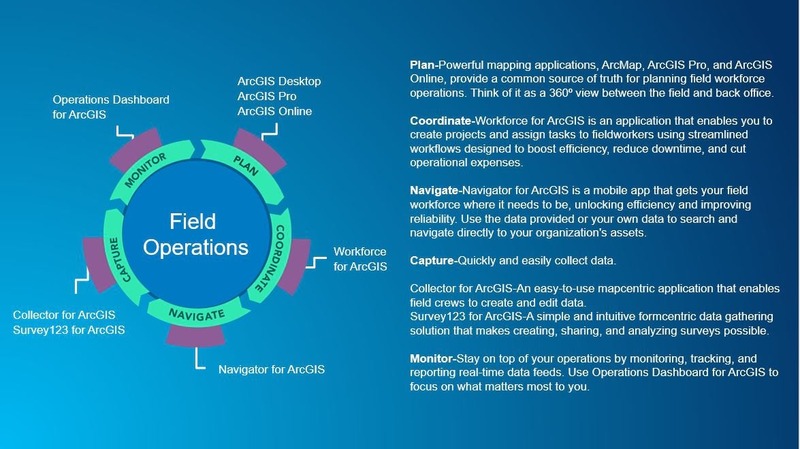 It gives a quick view of what parts of the ArcGIS platform can be used in each step of a field workflow. Each of the workflows in the stories that I shared was implemented in a similar way. Asset Registry and Mapping: Le-Ax Water District used three products shown in the diagram to build an asset registry: ArcMap, ArcGIS Online, and Collector for ArcGIS. It paired Collector for ArcGIS with a GPS unit to collect highly accurate locations of its assets. Being able to access asset information and view locations on a map made it easier for field crews to return to rural locations and do their work. Meter Change Outs: Rural Lorain County Water Authority used four products shown in the diagram to transform its field data collection for meter change outs: Arc Map, ArcGIS Online, Collector for ArcGIS, and Operations Dashboard for ArcGIS. This enabled it to collect, visualize, and share information using web maps and dashboards, saving hours of manual data entry. 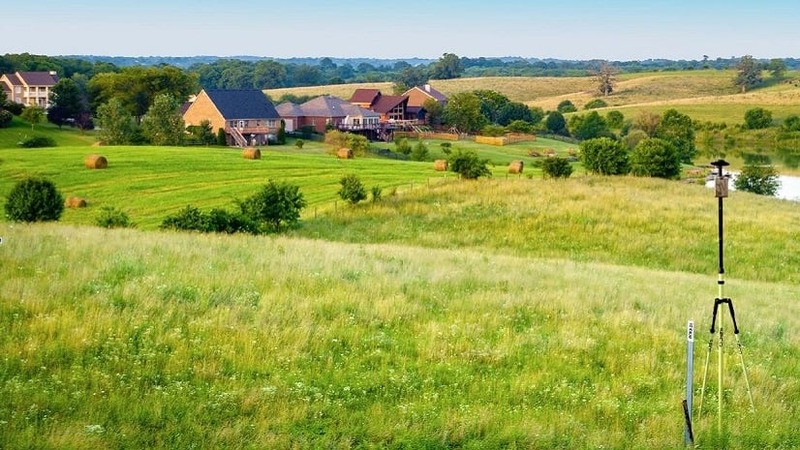 Meter Installations: Oldham County Water District took advantage of its existing GIS to support the use of Collector for ArcGIS paired with a GPS unit to implement real-time data collection. 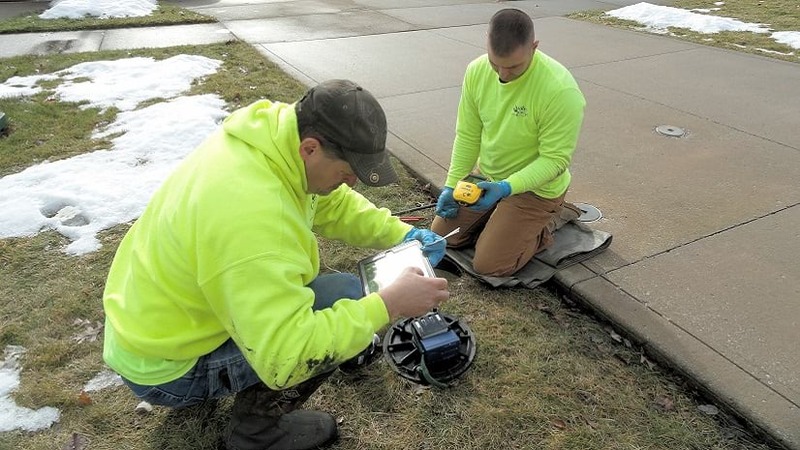 Field crews used the utility-issued Android phones and iPads to collect data and eliminated time-consuming postprocessing; drastically lowered the number of repeated trips to the field; and, in turn, helped reduce fuel and labor costs. Each one of these examples shows how you can implement specific products within the ArcGIS platform to support your workflows. Le-Ax and Oldham County added high-accuracy data collection to meet their needs. High accuracy was important to these utilities because it enabled field crews to easily return to a specific asset. Collector for ArcGIS supports receivers integrated into devices, as well as external receivers connected via Bluetooth. There are many GPS receivers on the market; however, not all of them work directly with Collector. To use a GPS receiver with Collector, it must support the output of NMEA 0183 sentences. If you are using an iOS device, you must also choose one of the GPS receivers supported in iOS. If you’re not familiar with using GPS devices, this may sound a little scary, but it’s not that difficult to do. I was recently given the opportunity to test an Arrow 100 receiver. My first step was to download the Eos Tools Pro application from the App Store. Next I needed to pair the Arrow with my iPhone in the iOS Bluetooth Settings. I then opened Collector and identified the receiver provider, selected my receiver, and entered the antenna height. This took about 5 clicks. Next I had to configure my Location Profile. Again, this was a few clicks. Once this was finished I went back to my map in Collector to confirm that I was connected to the Arrow. After that I was ready to start collecting locations! I collected several locations, added attribute data, and viewed them on my map. It was so much easier and faster than customizing ArcPad! ArcGIS supports the work that you do by providing tools that enable you to quickly and easily collect and edit data, see this data on a map, and keep track of the work being completed. 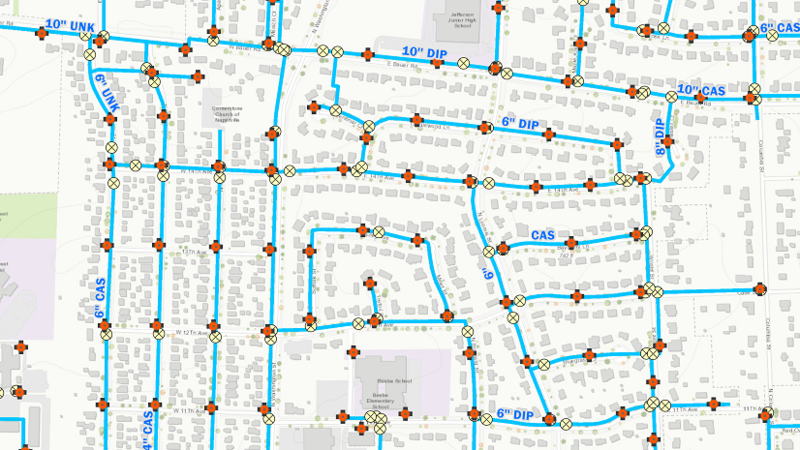 Don’t let ArcGIS overwhelm you; you can transform your utility one workflow at a time! Not sure how to get started? Stay tuned. My next blog post will provide resources that you need to start your own transformation. Want to get started now? Complete the Talk to an Expert request at the bottom of our GIS for Rural and Small Utilities web page.